Nicole Gordon joined the Towne Manor West team in 2018. She attended the Northeastern Hospital School of Nursing, a Temple University affiliate, to receive her Bachelor of Science degree in Nursing. 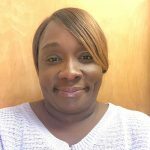 She has been working in the healthcare field for the past 20 years, starting as a certified nursing assistant and working her way up through various positions such as a Floor Nurse, Unit Manager and Assistant Director of Nursing before becoming a Director of Nursing. Nicole’s passion of helping others is reflected in the care she provides to our residents and their families. She creates a homelike environment for each one of them and prides herself on being an advocate for our residents and delivering quality patient care.